Pour usage commerciale et pour avoir plus de caractères (à but lucratif) acheter la version commercial sur mon site web. For commercial use and to have more characters (for-profit) buy the commercial version on my website. 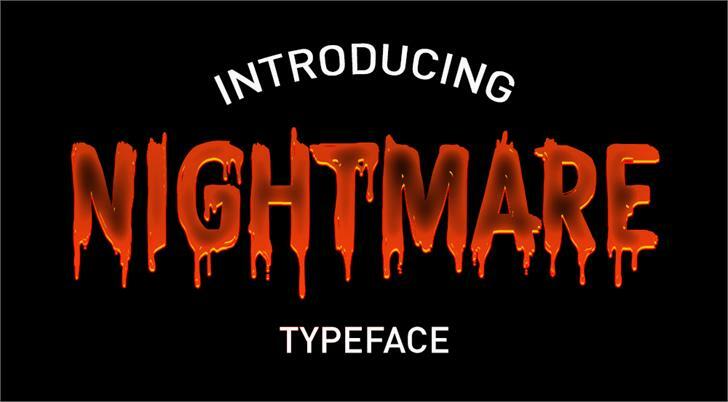 CF Nightmare PERSONAL Regular is a font by Cloutierfontes, designed by Steve Cloutier in 2017. Copyright (c) 2017 by Cloutierfontes. All rights reserved. This version is for Personal use. For more caracters of numbers, nuy a commercial version. Thank you ! CF Nightmare PERSONAL is a trademark of Cloutierfontes.